One of the favorite parts of our job is seeing inventory that we see every single day reused and mix and matched in a totally different way. Weddings in Southwest Florida are notorious for being original, imaginative and absolutely elegant. Today's post is a beautifully classic wedding that was nothing but elegant at one of Naples' most exclusive private clubs. The couple was married at the beautiful Moorings Presbyterian Church, then guests took white trollies on over to their club for a stunning evening of opulence and festivities. The bride and groom did not want a "typical" structured reception with one event orchestrated after the other, instead they wanted a free-flowing evening of food stations, celebration, and dancing. All the floral were soft whites with touches of greenery interwoven throughout....the linens sparkled in the candlelight and were highlighted by elegant gold touches. They utilized our traditional gold chiavari chairs that complimented the lush florals and the classic monogrammed napkins, inspired by the bride's southern sensibilities. One of Marco Island's hidden gems is Marco Beach Ocean Resort. It is a luxurious boutique hotel with amazing views and is just perfect if you want a wedding that has a more intimate feel. Their service is just top notch, so you and your guests will receive the royal treatment at this resort. 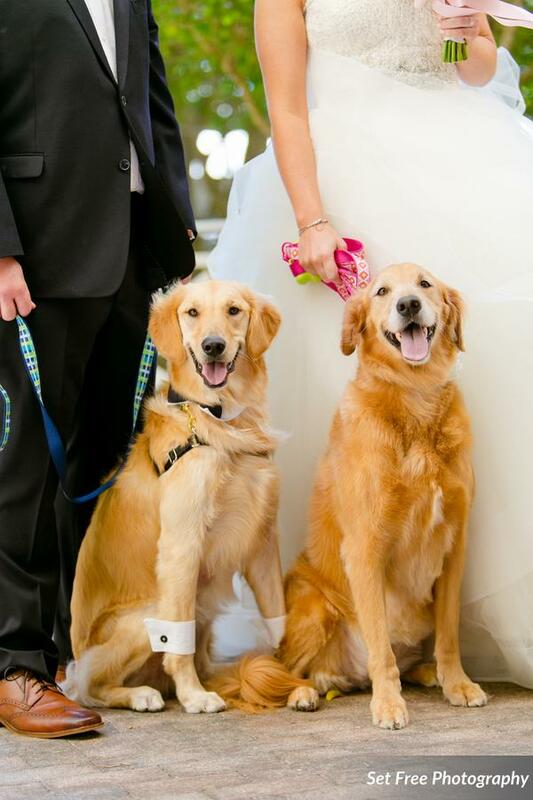 Today's featured wedding had touches of a fairytale wedding without being over the top. You can see that the bride and groom really spent time coordinating all the lovely little details and made this wedding their own. Of course, they did utilize the help of professionals, that's where we and other top wedding pros came in! They were married on the Sale y Pepe terrace with gulf views.... a super elegant wedding arbor was front and center and was complimented so beautifully with our gold chiavari chairs. The "beachy" touches were not over the top but really well done with small little accents that were not to rustic and had little luxurious touches. The celebration was carried inside the ballroom. The ballroom was draped in white fabric to create a soft ethereal backdrop for all the sophisticated floral and blush sequined linens. 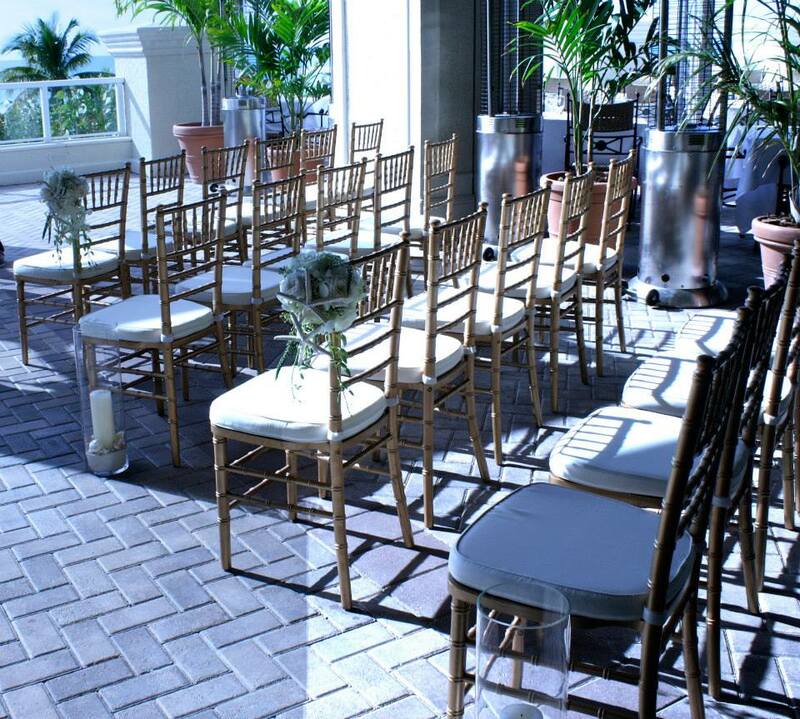 They complimented all of those beautiful details with our clear chiavari chairs. 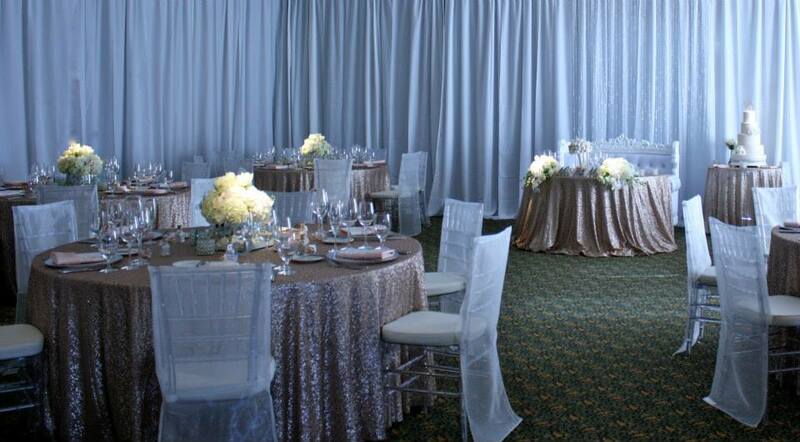 The acrylic chairs were then accented with organza chair sleeves to kick up the elegant factor just a notch. You will LOVE this! It totally gives this chair an even more light and airy feel. When the lights went down and the special lighting in the ballroom took over, it looked even more stunning! Hope you enjoy the eye-candy....until next time...Cheers! 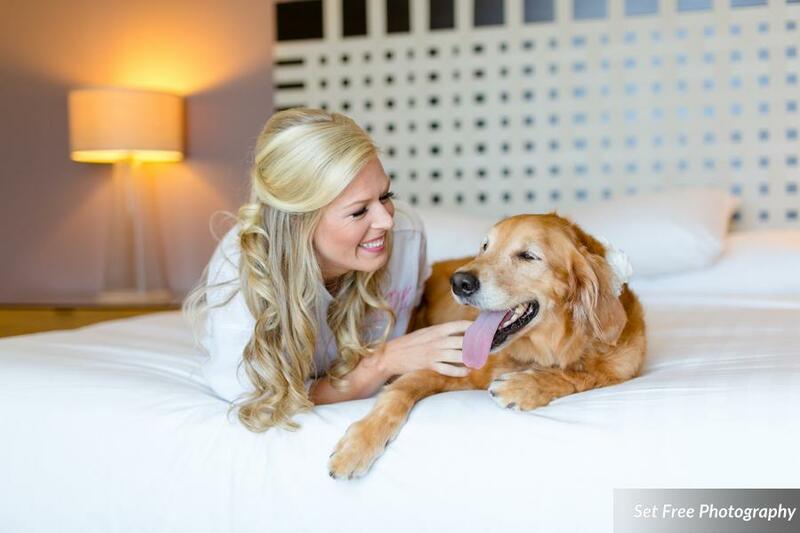 Well, it's no secret that this beautiful Hyatt Coconut Point wedding featured some of our favorite tried and true rentals(which we will talk about), but we can not let is slide without mentioning the furry friends as well:) This bride and groom no doubt wanted to have a gorgeous Southwest Florida wedding, but they also happened to work in their adorable his and hers golden retrievers. 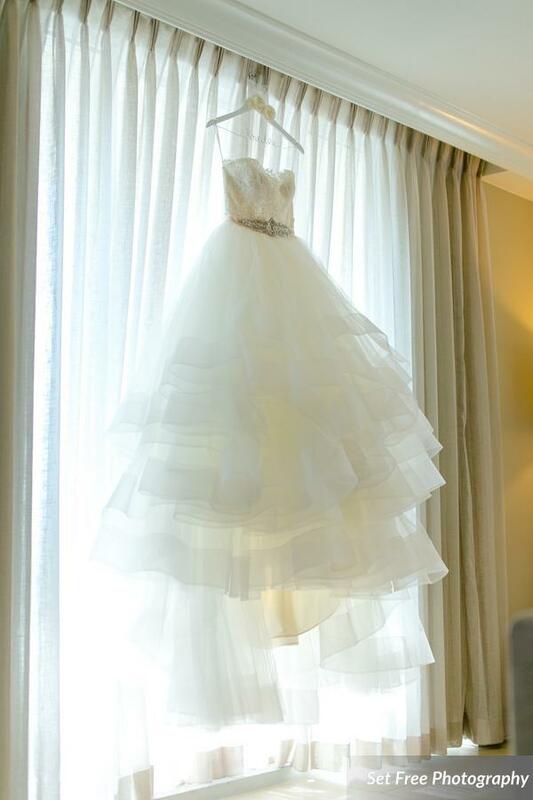 They sprinkled some of our most classic rentals both in their wedding ceremony as well as their reception in the Royal Palm Courtyard at this beautiful Estero wedding venue. First, the started out with their reception on the lawn, between the lake and the pool deck. They used our absolutely elegant but not too over the top mahogany chiavari chairs. What I love is that they beautifully coordinated the mahogany details between their ceremony then they carried it over to their wedding reception. As you will see.....they continued the use of their mahogany chiavaris and paired it with our rustic, but softly elegant custom made farm tables. Their beautiful soft white and blush floral were just the right contrast and totally popped on the bare wood tables. 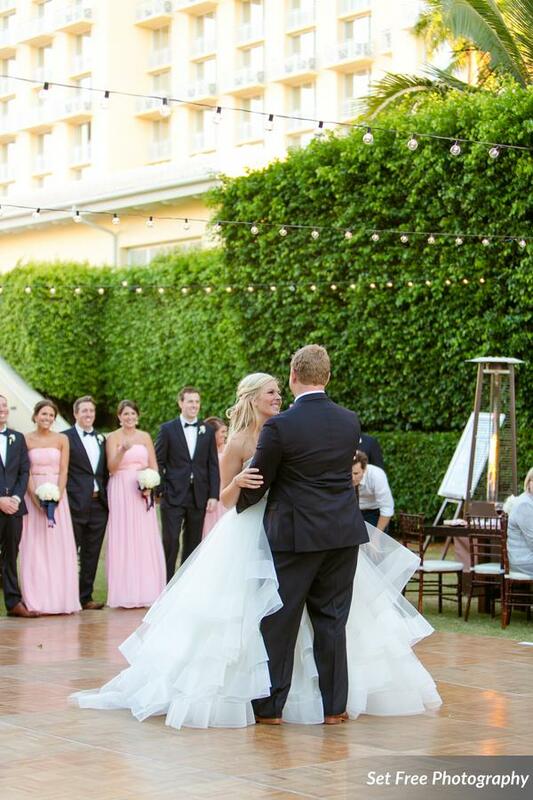 It was so fun to see how well these rentals coordinated so well with the wooden dance floor. 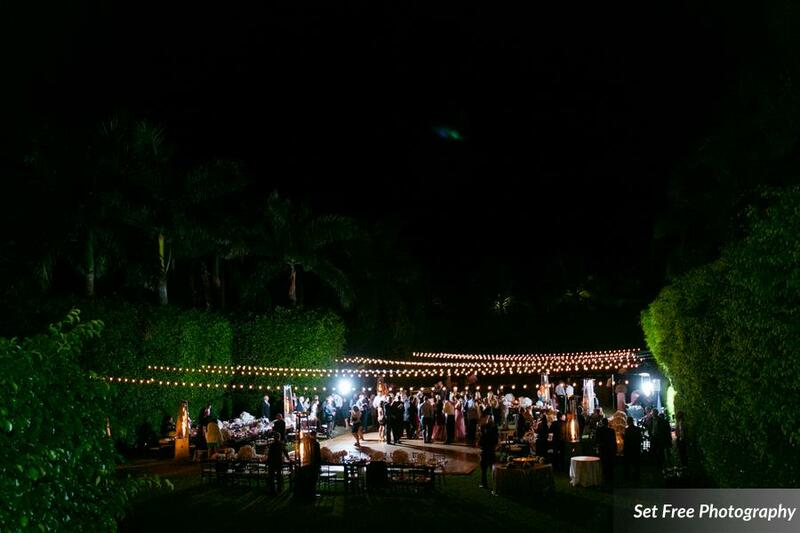 Last, but not least we have to point out that the ambiance was totally kicked up a notch by the beautiful string lights that were strung overheard in the expansive Royal Palm Lawn. 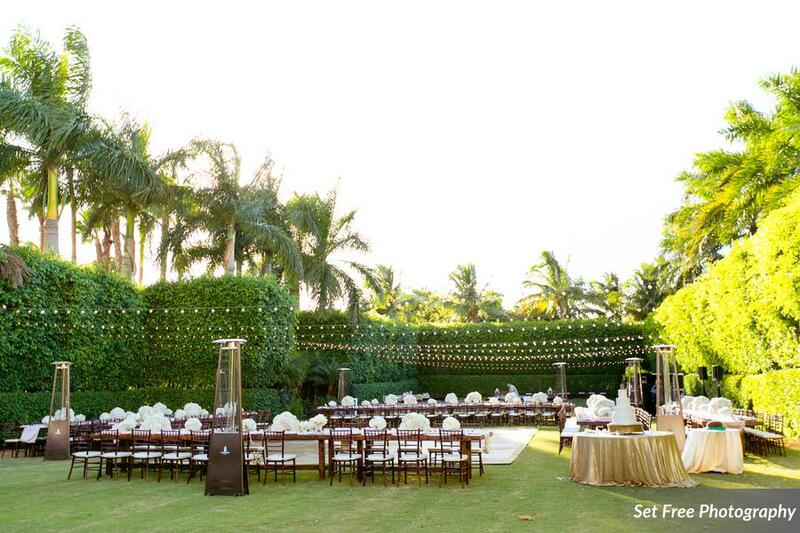 What we love about this lawn is the real sense of privacy that you can have even though this SWFL wedding venue is so large! This wedding had so many well thought out, simple and classic accents that we thought it would be a great way to kick of this years' blog posts. We hope you enjoy all these pretty details as much as we did.....and of course.....the dogs upped the cuteness factor for sure!! Wishing all clients and friends an AMAZING new year of celebrations ahead! !